I would love the Celtic Designs Coloring Book: 20 Original, Hand-Drawn Knotwork & Spiral Designs by Kristen N. Fox. I am Irish and love Celtic designs. I think these would look amazing colored, and would be so much fun. Would love the Celtic Designs one. The people coloring book would be interesting. I would love to pick meditation as my first book, I think this book would speak to me at this moment in my life and I believe it may even help me through this time in my life.. I would love the Celtic designs book. I am part Irish, and I would love to color some of these because they remind me of my dad who passed a few years ago. The mandalas are awesome and so much fun to color in! I would like the InspirationAL life lessons. Reduce stress while being reminded of positive life lessons. I would love the Meditation book as coloring as a child was exactly that for me. Good memories. I’d love Orangeroof zoo! I’m a big animal lover and would really enjoy that book! I like them all but photo realistic is my thing. I want them all but I would love the Celtic one. I was adopted and found my parents. I also found out I am 90% Irish and proud of it. I would love to have the Celtic Design coloring book! I’m Irish, love the culture and their symbology. I would love any of the Holiday colring books. Coloring is such a stress reliever!! Seasonal details for all year round activity!!! I would love your Nature book. There are so many beautiful coloring options to chose from. I am relately new to adult coloring and do not have many coloring books to work with at this time. There was one book in particular that I really gravitated to: The Inspirational Life Quotes by K. O O’Reilly. Like the author, I too live with Anxiety and Depression and suffer from low self esteem. I have always liked to copy down and post positive words/messages in my environment. I find it very helpful not just for myself but for my whole family!! Nature or animals or birds. Would love to win something. I am on disability and do not have much money for things like this. The kaleidescope, seasonal art, any of the Celtics. Those are the types that I like. Inspirational Life Quotes coloring book would be great for me! I love the Celtic designs book, it looks calming to color!! I also would like the celtic designs, thanks! I would love either Celtic designs or holiday coloring book thank you for the chance to win! I probably would love to get the Celtic one for my husband and I..our wedding was a part Irish wedding. Our vows were the hand tying ceremony and my husband loves his family history so he would enjoy that one. The people one would be great but really any of them! I just love to color! What a stress relief! I would LOVE Dogs Want to Have Fun by Emilie Bilokur The reason being i love dogs and I’m just starting to color again. This would be very relaxing, stress relieving and fun to color! The Celtic one please Thank you for the chance. I would pick the Nature book! I would love the Inspirational Quotes coloring book! I would love the Celtic Designs Coloring Book. Thank you!! I like the animal mandalas. I have always loved to color and I’m so glad it has become “acceptable” for adults to do it! I would really like the Celtic Designs Coloring Book: 20 Original, Hand-Drawn Knotwork & Spiral Designs by Kristen N. Fox. I woud want to have the Adult Coloring Book: Stress Relieving Patterns & Mandalas (Volume 1 & 2) by Creative Flow Artists. I would give this to my niece who is suffering from anxiety and depression. And I want to give it as a treat to her to help her ease things up whenever she have nothing to do or when overwhelmed. She’ll be graduating as a Sociology major this coming months so it’s really be one great gift to her too. The mandalas are great, but as I am a dog fan I would want Dogs Want to Have Fun by Emilie Bilokur. I like the Kaleidoscope of Snowflakes book. I love snowflakes and I love to color perfect combination. I would like the Dogs Want to Have Fun by Emilie Bilokur. Don’t let someones opinion become your reality, I like that it is an inspirational coloring book. I would choose the Relaxation coloring book. It kind of jumped out at me as something that could be a valuable tool in my recovery. I would like to know what pencils people are using. I just have the ones by Crayola and wondered if they have used better ones? Would love to color and then get a tattoo of my Initial! Maybe my daughters would join me with their initial! I love the Christmas so I would love the Coloring Books: Christmas Edition by Marsha Maroney! Holidays! I can’t get enough Christmas! I think Mermaids would be lovely!!! Dogs Want to Have Fun by Emilie Bilokur! I would choose Celtic Mandalas Coloring Book: 20 Original, Hand-Drawn Celtic Mandalas by Kristen N. Fox. It is some wonderful pictures that I would enjoy coloring! The Get Your Groove On. Holidays because it reminds me of family,the Lord,and happy happy times. I am such a wusp. The Under the Sea one is really nice, I would pick that one! Hard to pick just one, but if I must, I must and I choose: Kaleidoscope Mandala Art Coloring Book. The WILDLIFE book looks like a fun one! I would like the mandela book. But really they all look inviting. Holidays, it is the best time of the year and these look wonderful. I like the coloring to relax coloring books. Seasonal details looks like fun! I would like Word Search Coloring Book by Alice Ayden, as I like to color and word searches. I love the Celtic Designs. I find coloring therapeutic; I have MS and am in a wheelchair so I am very limited in what I can do. The zentangle beautiful flower one is nice. Anything flowery or snowflake. They all are nice. Inspirational Life Quotes because everyone can use some positive Inspiration in their life! Celtic looks amazing however I believe any of them would offer me the relaxation I need! I like the zentangle Flower one. I love flowers! I like the Celtic alphabet one. I am drawn to it. Essential Photography tips is the book for me. I am the worse picture taker and need tons of help. I would like to try the Coloring Books For Adults Volume 3: 40 Stress Relieving And Relaxing Patterns. I’d love the Mandela the patterns are simply mesmerizing! Meditations Through Coloring is my favorite coloring book. I love lots of detail with hardly any space between that way I can focus on coloring in that space making it just right….coloring in that space gives me something to focus on, which helps for that moment to take my stress away. Kaleidoscope Snowflakes would be my first choice. Ya know I couldn’t pick just one! I really like them all. I love Abstract, but I love People just as much and same with Holidays, they are all great! I hope to have them all one day soon! How FUN! Would really like the heart to heart to begin with and then continue on with more. Star gazer & all mandalas look amazing!! I would like the Nature book because I love that kind of pictures. Nature or Celtic I think. Got a Dragon book? Mandala Design Duets to color really catches my eye. I have been really liking the Manadalas lately. I think that I would like the Kaleidoscope Snowflake Coloring Book, or the Original Art and Soul Coloring Designs. I would really love the Celtic Designs, I appreciate this chance. I have just started getting into Adult coloring, I really loved coloring as a child. I like the Get Your Groove One: An Absolutely Fabulous Coloring Book by Vintage Pen Press, I bet it has tons of great pictures to choose from. The Kaleidoscope Snowflakes Coloring Book is my favorite. Coloring is a great way to relax and just enjoy the moment. I would love the Celtics coloring book. Looks awesome! Such Fun! I think I would love one of the Coloring Book Journals! I would love the stress relieving pattern book. I have a couple of hours of me time after my 5 year old goes to bed and I need something to relax with before I try to sleep. I would love the Celtic, or the Abstract! I would like the Heart 2 Heart coloring book!! I absolutely love this. Hearts, stars, snowflakes, flowers, etc… love them all! I would love the Meditations and then the Celtic one. I would love the Get your Groove on! Meditations through coloring by River Grove. I love coloring! My husband is battling cancer for his third time and recently had to have his leg amputated from the cancer. I really think he would enjoy having something like this. I think it would help him with the Phantom pain. Thanks for a chance to win. I would LOVE the Celtic coloring book! So much fun with my Irish roots! I would love Celtics designs! Would love Heart to Heart and the coloring book journals. Inspirational life quotes would be the perfect book for my life right now with a big move and change in my life. This combines two of my favorite things! Looks relaxing and therapeutic. Mermaids- Calm Ocean Coloring Collection by Selina Fenech The book looks beautifully illustrated. The ocean has always been a calming , relaxing place to me. The one I was most drawn to (get it?lol) was Artful Color Tangled Mandalas by Maz Scales. I felt this one could help me to relax at the end of the day the best because I could unleash my inner child in an adult form and be most relaxed! Thanks for the chance to win! Meditations through coloring. I’m just starting but these designs look so beautiful and I’m looking for things I can get completely lost in. I would like the Create Coloring Journal. Kaleidoscope Mandala Art Coloring Book. I would dearly LOVE to have the Inspirational Life Quotes – Colouring Book for Adults by K. O Reilly!! I suffer with major depression with anxiety as well as PTSD and I always look for inspirational quotes to uplift and inspire me to help me get through my days. I have just started a local coloring group on Facebook and we try to meet once a week plus I color on my own. This would be a perfect addition to my coloring book collection! I would love the inspirational one 🙂 i love to stay positive about life! Celtic, photorealistic and meditation, would also like to see wolves in one. I would like Celtic designs. I am just getting started and this book would give me a variety. I love coloring very stress relieving. I would love the Mermaids coloring book. I love Selina Fenech’s works! Please and thank you …I would love either the Celtic or faries. I would love any of the Celtic, snowflake, or Mandala coloring books. I’m sorry I can’t narrow it down any more. They all look so great! Kaleidoscope Snowflakes Coloring Book looks like a gorgeous and fun book! I would love the Celtic Designs most of all! I’d really like to win this to give away as door prizes for my coloring club! I like the Inspirational Life Quotes by K. O O’Reilly. I’d like the heart to heart book, it looks nice and I think I’d enjoy coloring it. I would say the Celtic Designs or the email one. They are both ones I don’t have in y collection yet. Ooohh I like the kelidoscope one and both Celtic ones! I would love to win the nature one or the meditation, love these coloring books, so relaxing. It’s so hard to choose, I think the stress reliever book would be my choice today. I would love to have Dogs Want to Have Fun by Emilie Bilokur – some days just call for a bit of whimsy to brighten an otherwise blah day!! It is so hard to pick just one. Think i would love any of them, but i guess i will start with 50 Halloween images. Halloween is my favorite holiday so I’m sure I could have a lot of fun with this book. I would love the meditation coloring g pages. However, all of them are beautiful and unique in their own way any of them would be a wonderful surprise to receive. Celtic book is stunning, it would be my first choice! I would love top try a storybook coloring book! Get Your Groove On looks like it would have some great designs in it. I think my mom would like it too. i love the inspirational life quotes. so much fun to color! The Dark Lord and the Seamstress sounds intriguing! Thank you for the fun chance! I like the Heart to Heart book. Looks like fun! Celtic or snowflakes or any of them! Awesome designs. I would like Kaleidoscope Snowflakes Coloring Book: 25 Original, Winter Snowflake Designs to Color by Kristen N. Fox. Another book that caught my attention from this list was the Adult Colouring Book Volume 1 by Charlotte George ( http://bookgoodies.com/adult-colouring-book-volume1/ ). Once again, I wondered about the contents since no previews were available, however, I’ve learned something rather good. By Googling the author & book, I was able to discover the author’s website which included not just some samples from this book, but a listing of the many other books she’s produced since then & the samples from them. Ugh, these books seem to be relaxing! I would be happy with any book. One of my favorites is Coloring to Relax the Mind: Under the Sea, volume 2 and another one is the Celtic Designs. I believe I might enjoy coloring them. Celtics seems popular, I would appreciate that nook but any would be great. When I was a young kid my mother would doodle and draw and color different things and all of this reminds me of when she was alive. I love to color and it kinda reconnects me with her is some weird way I feel like she’s with me when I’m in my world coloring or drawing.. I would love the Kalideoscope Snowflakes book. Dogs Want to Have Fun by Emilie Bilokur coloring book is another one I would love to have! I like the Inspirational Life Quotes!!!! I want the Conscious Creation Coloring Book. It was very hard to pick just one. I would have to choose Kaleidoscope Snowflakes. It looks interesting and very relaxing. I would like to have the Word Search Coloring Book, because I like word search puzzles and coloring, so I can do them both at the same time! I would really appreciate being able to have “Free From Anxiety.” I’ve been so stressed and overwhelmed for so long, and so tense, that I can’t even begin to describe it. Meditations or Mermaids….I Cant decide! So many great ones to choose from! I guess I would pick Bliss, original art and soul coloring designs. I could really use the Seasonal Details Anyday Coloring Book Calendar now for relaxing, because I remember getting totally engrossed in coloring a calendar back when I was in school (ages ago). I thank you for giving us all a chance! I love all books and all supplies, so if I happen to be lucky enough to win, please pick one for me! Thank you! “Kaleidoscope Snowflakes” looks really pretty! I love the wintertime, and how beautiful it can be. My husband really enjoys the Celtic culture so I would love to win the Celtic Mandalas Coloring Book: 20 Original, Hand-Drawn Celtic Mandalas by Kristen N. Fox. He would probably help me color the pages in it. Just started closing again as an adult as a stress relief from work stress. I would love the Celtic Design book by Kristen N. Fox or the kaleidoscope one. i like Get Your Groove On. I would like the kaleidoscope snowflake book. Kaleidoscope Snowflakes Coloring Book: This looks GREAT!! I really like the concept of Inspirational Life Quotes – Colouring Book for Adults by K. O Reilly. Coloring is so relaxing. Adding an inspirational quote makes it more meaningful. They all sound so wonderful. I am very fond of birds as they are so beautiful & relaxing. A coloring book with birds & other nature animals would be very inviting, exciting, relaxing & lots of fun to color. I’d definitely love the inspirational quotes book. There are so many great ones, but that looks like my favorite. So many good books, it was hard to choose. I think the Coloring Animals Mandala for my first one. I would love Word Search Coloring Book by Alice Ayden. I have always loved word searches and just recently rediscovered coloring as an adult. Combining the two was a great idea! I have always liked nature. Coloring is so much fun and relaxing. Oh my gosh, How to choose just one!!?? For my first it would be the meditations one. Eventually, I would love to have them all! Coloring has become a part of health and wellness for me and is sooooo much fun! Thank you and happy coloring everyone!! I would love to get Free From Anxiety – Colouring Book for Adults by K. O Reilly. I would introduce both my mum and husband to the world of coloring in and they both are suffering from anxiety and are on medications for it. It would be nice to reduce a drug dependence. I think the Celtic Alphabet Coloring Book is lovely. I could see myself spelling out words all over my apartment! I’d love to get my hands on Kaleidoscope Snowflakes Coloring Book. I’d spend hours coloring! I would love the 30 prodigious patterns by carol clifford. I adore the, ‘Calming Doodles Volume 1 – Doodle Coloring Book & Art Therapy.’ I love that it’s spiral bound. I have a thing about spiral bound books. Kaleidoscope Mandala Art Coloring Book looks like a lot of fun to color! I would love the celtic designs as my first choice!! They are all neat though!! after checking out some of the images! They look like such a fun way to melt away stress and anxiety! I love, too, that the author/artist gives all glory to Jesus Christ! Not many people will do that anymore. Heart~2~Heart – 48 Mandalas for You to Color & Enjoy is one I’d love to own. I love heart designs! Kaleidoscope Snowflake Coloring book by Kristen Fox looks beautiful. I still would love to color in the Celtic Alphabet Coloring Book. My daughter and I love coloring together and this is one book I know both of us would enjoy. I’d like to relax while coloring in Adult Colouring Book – Volume1. I would love Celtic designs coloring book. I’ve alwaysliked the look of Celtic designs & it would be neat to color them. I would like the Winter Wonder Land Book to relax. I have a very stressful life and haven’t found a way to relax yet. I would choose Bliss, I always choose bliss. Celtic Designs would be my choice. 30 Prodigious Patterns seems like the kind of book I’d like to color. All of these coloring books would be awesome for decorating one’s walls. I would love any of the Celtic books! The patterns are so beautiful. I would love to have a calendar to display my own artwork every month of the year. I’ve seen this calendar and I love it!! Inspirational for sure! Though I would take any of them! I would love the Adult Coloring Book – Color Your World Calm – Book 1 – 50 Mandalas by Carol Clifford. Would be great pain therapy for me. I have always been interested in Art Design using the Letters of the Alphabet!!! Relaxation Therapy, near the end of the guide looks amazing, if chosen this would be the one I pick. Thank you. Dogs Wanna Have Fun looks really cute! I’d love to color the puppies! I would probably choose the holiday book or the relaxation for the mind. Dream Mandalas, Winter Wonderland, Celtic, Kaleidoscopes, all sound wonderful to me! I would love Meditation through Coloring, or Dogs Want to Have Fun. I have started coloring with my 12 year old as he had anxiety disorders and these would be great for the 2 of us together! I can just order whichever one I don’t win! Thanks so much for highlighting some really great titles! I like the Meditations through Coloring book, it is beautiful! It was hard narrowing it down though, I seen a few that I loved! Quinn, and I love it!! I thoroughly enjoy all of her books. I think I am her newest fan. This is definitely one that I would LOVE to have. It would certainly bring about abundant relaxation for me. Thanks again for the opportunity to participate in this contest. I would love to win the Mandalas coloring book..I am disabled and winter times are hard for me to get out and love to color . I enjoy coloring Mandalas and Victorian houses. I believe I would enjoy “Celtic” as well. I so enjoy coloring, have been doing this for years, it does help with those stress filled days, especially when I was working. I also crochet and make jewelry, but, coloring is the best soothing and relaxing hobby one could have! This book looks amazing. I just received my first book a few days ago and it is animals but I was truly looking for buildings and this is it. I might not wait! I might just have to go buy this book. Kristen N. Fox…….I really L I K E !!! Art Design using the Letters of the Alphabet has Always been an Interest of Mine !!! I would love the Inspiration book. I would love the Celtic Designs Coloring Book: 20 Original, Hand-Drawn Knotwork & Spiral Designs by Kristen N. Fox. I love celtic and fantasy and flowers they are all fantastic. I would like the Winter Wonderland book. I would love Meditations Through Coloring. It looks lovely. 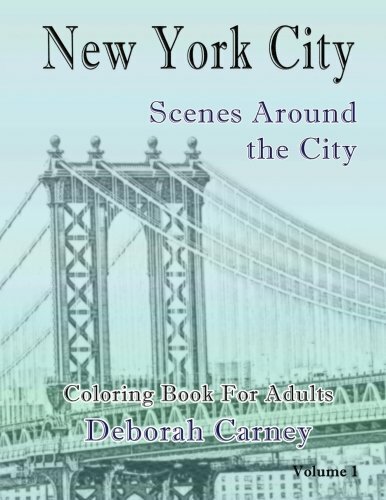 As a caregiver, Relaxing Therapy Coloring Book, would be a wonderful addition to my life. A chance to relax and day dream. I really like the Heart~2~Heart coloring book. I still think I would prefer Inspirational Life Quotes – Colouring Book for Adults by K. O Reilly. I am always looking for ways to inspire myself to live better, to be a better example for others, to be a better version of who I was yesterday. What better way than to color myself calm and relax while reading inspirational quotes that can do all those things for me!! Word Search! How fun would that be? I would love the Inspirational Life quotes one! It would be awesome to win the Celtic Mandelas coloring book. Mandalas they are just so beautiful. Always have Admired Art Design using the Letters of the Alphabet!!! THANKS for the Opportunity to WIN !!! Would love the Celtic Letters. I want them to use on my wall for art. by Selina Fenech. I like mermaids such beautiful beings. Mermaids, Dogs Wanna Have Fun, and Heart to Hearts. Thanks for the chance to enter this giveaway! Love the book, “Get Your Groove On”! I would love the Celtic Designs Coloring Book: 20 Original, Hand-Drawn Knotwork & Spiral Designs by Kristen N. Fox. I’ve always liked the look of Celtic designs & it would be neat to color them. I would like to have the Heart to Heart coloring book. Hearts are just so representative of love. Love gives such a pleasant feeling and makes you smile when you feel loved. How can you not relax when you are smiling and feeling loved? Thank you for the opportunity to enter your contest. 52 Flower Mandalas: An Adult Coloring Book for Inspiration and Stress Relief – I love to color flowers and and for me coloring is a big stress reliever. I would love the Inspirational Life Quotes Colouring Book. The fact that it inspires you as you color is the best! The kaleidoscope and meditation books draw my interest more than the others at this point, but there’s not a single book in the catalog I wouldn’t love getting. I am Irish so Celtic designs would be for me. Thank you for the opportunity! Inspirational…..I love quotes & always looking for inspirations. The Celtic Alphabet Coloring Book: A Set of 26 Original, Hand-Drawn Letters To Color is My FAVORITE!!!! LOVE the Chance to Learn how to Do all the Letters! I would love to have the Fashion Animals adult coloring book! i would LOVE the day of the dead girls book!!! My FAVORITE is The Celtic Alphabet Coloring Book: A Set of 26 Original, Hand-Drawn Letters To Color by Kristen N. Fox !!! I’ve been wanting to learn more about Hand-Drawn Lettering!!! Appreciate the Chance to WIN!!! I think I would like to try Angie Grace’s Doodles book. The patterns sound interest and fun to do. The Celtic Alphabet Coloring Book: A Set of 26 Original, Hand-Drawn Letters To Color by Kristen N. Fox looks like a GREAT Book!!! Anxious to learn more about Lettering!!!! Hand-Drawn Celtic Mandalas stick out to me and are very neat I love coloring, love you guys, keep being awesome and love the giveaways hopefully I can enter more if you have them and hopefully get the chance to win and take home an awesome book from you guys. They all look like fun to color, but I like the Celtic Design coloring book. Zetangles, Awesome Animals Volume 3. A Favorite of Mine is: The Celtic Alphabet Coloring Book: A Set of 26 Original, Hand-Drawn Letters To Color!!! I would like to learn more about Hand Lettering & this book looks like a Good start!!! I would like the inspirational quotes coloring book! I would be happy with anything but I like Stress Relieving Patterns & Mandalas. We are farmers and I suffer from Fibromyalgia and lupus. Coloring is actually part of my pain management program. I love the Celtic design book. Zetangles-Awesome Animals Volume 3. Where do you get that Secret Garden I see so many people are doing? I’ve seen the calendar and post cards. I would love the Heart-2-Heart Coloring Book by Katie Darden, I love coloring hearts for some reason! I would love the Celtic Design coloring book or Mermaids by Selina French. These books are unique and I haven’t seen them in stores. I also like the Inspirational quotes book and the Zoo book. I love to color animals! I would love to have the Celtics Alphabet book! I have been wanting an alphabet book for a long time and love Celtics designs. Plus it would be a fantastic bonding experience for my son and I to color them together and help him learn his alphabet at the same time! My FAVORITE……..The Celtic Alphabet Coloring Book: A Set of 26 Original, Hand-Drawn Letters To Color by Kristen N. Fox !!! The Chance to Learn how to Do all the Letters would be FANtabulous!!!! THANKs for the CHANCE to ((( W I N ))) !!! I also love dragons and unicorns and faeries. Wow, what an amazing list of beautiful boks. The Celtic Alphabet is one of my favs! My favorite would be the Winter Wonderland. The picture on the cover is beautiful. I would love to have the book Dogs Want to Have Fun by Emilie Bilokur. I love dogs. I have 4 of my own and would have more if I could. Kaleidoscope Snowflakes looks interesting. I have several colouring books but not snowflakes. Right now, I think the meditations book would be right for me. I would like to have the Dogs Want To Have Fun book . I love dogs and would really enjoy coloring them in this book !! I really like the Celtic designs. I have ALWAYS wanted to Explore different ways to Learn more about Lettering!!! COLORING is a FANtabulous Hobby…..Sooooo R*E*L*A*X*I*N*G !!! I would like the Kaleidoscope Snowflakes coloring book! I remember as a child having more than one kaleidoscope and being mesmerized for hours as I carefully turned it, attempting to find “that one!” again, and of course, never finding it. Just as there are never two snowflakes the same, there are never two kaleidoscope effects the same as are there no two people the same. What an awesome God we serve! I would choose Meditations through coloring. One of the few things that can be done to relax no matter where you are or what’s going on is coloring, and being able to have meditations to color would be a great way to combine the two. The Cigar book look amazinnnn’!!!!! I would love the Celtic Designs! Would love the Word Search coloring book as I enjoy doing word search puzzles. Thanks a lot for having this giveaway! I would love to have Orangeroof Zoo by Mary Ogle! I love animals so much, and enjoy coloring to relax my mind. I really like love the Celtic designs book. i would want the mandalas. I love to color intricate things. So either Mandalas, or maybe Celtic design books would be great. I’m not picky at all. I love dogs, dolphins, butterflies and the ocean. So I’ll let you decide. THANKS for the Opportunity!!! AWESOME Giveaway!!! I have just discovered the joy of coloring again after years of not bothering, it is helping me to quit smoking which I have done for many years. Thank you for the Adult coloring books.